If you ever find yourself in the position of having to negotiate the price of a used car, these tips can help you get a better deal! If you’ve been reading many of the articles on this blog, then you know we don’t much care for haggling. 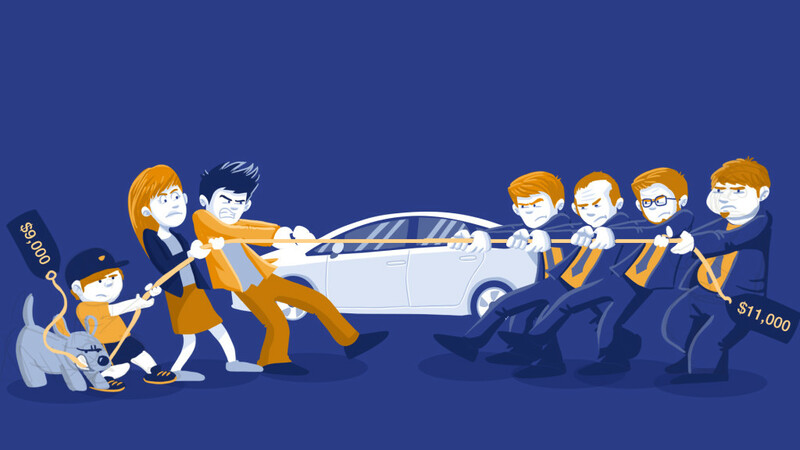 We think that used car price haggling is a thing of the past. It’s stressful and wastes everyone’s precious time. But occasionally you may find yourself really wanting a particular used car that’s either for sale by its private owner or at a dealership that doesn’t operate on a firm pricing model. How do you go about engaging in the price negotiation process? The mindset. Perhaps the most important leverage point you have in negotiating the price that’s right for you is your willingness to walk away. So it goes without saying that you’ll be able to negotiate a better price on a car if it’s not the-car-you-must-have-at-all-cost, because that’s the car you’ll pay too much for. In other words, don’t be so attached to any particular car that you lose your ability and willingness to walk away if you don’t like the price or the direction of the negotiation. There are tons of used cars out there, and several that could probably become your new ride, so refrain from getting too attached to any given vehicle. You willingness to walk away is your ultimate trump card. Price knowledge. If you’ve done your homework by going to Kelly Blue Book and/or Edmunds to determine the “book value” for the vehicle, then this knowledge is something you can use in the negotiation process, depending on the asking price relative to book value. Book values are not the be-all-end-all of pricing in the used car market, but do offer good starting points for the negotiation process. Responding to pressure. If the seller or salesperson do anything you don’t like, such as trying to rush you, upsell you, or otherwise pressure you in any way shape or form, whip out your trump card and simply walk away. You don’t need to put up with that from anyone and the best thing you can do is take your business elsewhere. Making your offer. The vehicle was already advertised with a particular price on it. Let’s assume that price is higher than what you want to pay. Feel free to make an offer that is significantly below the price you have in mind. If you took the car to a mechanic and had it checked over, you probably have a list of items that need or will soon need some attention, and you can use that list to help justify your low offer. But you’ve also left room to allow that price to come back up as the negotiations go through multiple rounds of offers and counteroffers but still be as close to your preferred price as possible. 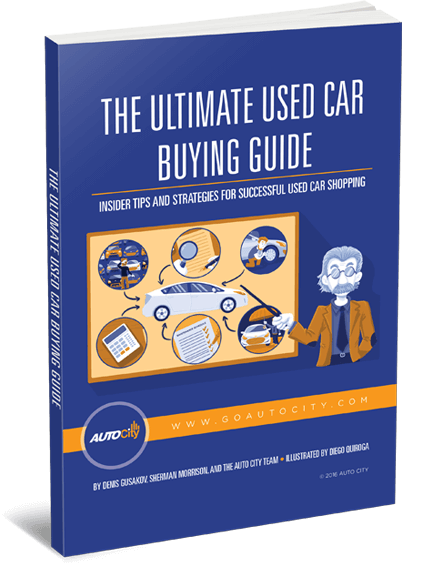 If you ever find yourself in the position of having to negotiate the price of a used car, then keep your wits about and follow the tips mentioned above. Chances are good you’ll come out fine. However, if negotiating the price of a used car is not your thing, you will appreciate how we do things at Auto City! We carefully research the market and price our used cars very competitively upfront. You do not have to haggle to get a great deal at Auto City!